Award-winning science journalist Carl Zimmer is a columnist for The New York Times and is an expert on topics ranging from evolution to viruses to genome sequencing to brain-mapping. He is also a regular contributor to National Geographic and National Public Radio. 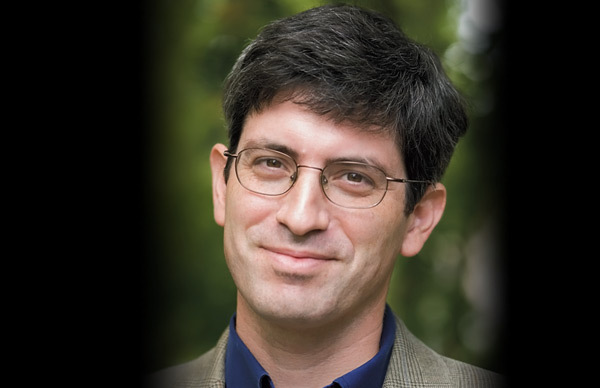 Carl Zimmer is, in the words of The New York Times Book Review, “as fine a science essayist as we have.” He won the National Academies Communication Award and is a three-time winner of the American Association for the Advancement of Science Journalism Award. In addition, he was awarded the Stephen Jay Gould Prize, and the National Association of Biology Teachers gave him their Distinguished Service Award. Zimmer is a columnist for The New York Times and writes regularly for magazines such as National Geographic and Wired. He is also the author of thirteen widely praised books. Zimmer has spoken at Aspen Ideas Festival and other major venues. He has given lectures at many of the country’s leading universities, medical schools, and museums, and regularly gives keynote lectures at scientific conferences. 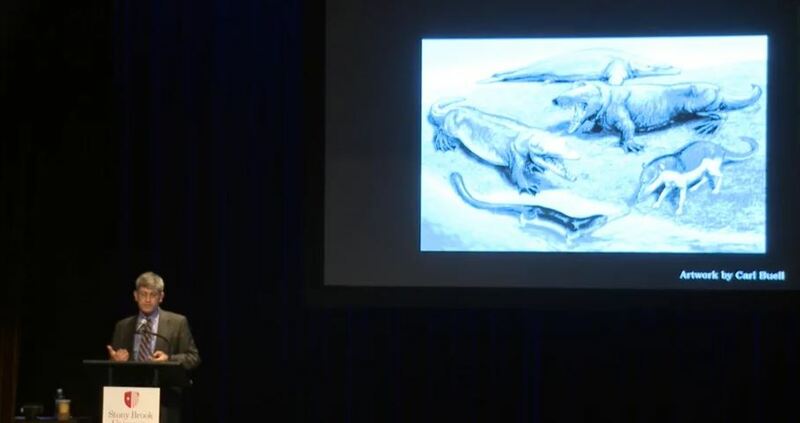 Zimmer has enthralled audiences with insightful, engrossing talks on topics ranging from the cutting edge of medicine, to the history of the scientific revolution, to the wonderful creepiness of parasites. In addition to his public speaking, Zimmer is a frequent guest on NPR’s Radiolab and other radio programs and podcasts. His new book, She Has Her Mother’s Laugh: The Powers, Perversions, and Potential of Heredity, was published in May 2018. His other works include Evolution: The Triumph of an Idea, Soul Made Flesh (named one of the top 100 books of the year by The New York Times Book Review), At the Water’s Edge, and Parasite Rex. His 2008 book, Microcosm: E. coli and the New Science of Life was a finalist for the Los Angeles Times Book Prize. Zimmer is also the author of a groundbreaking textbook about evolution, The Tangled Bank. 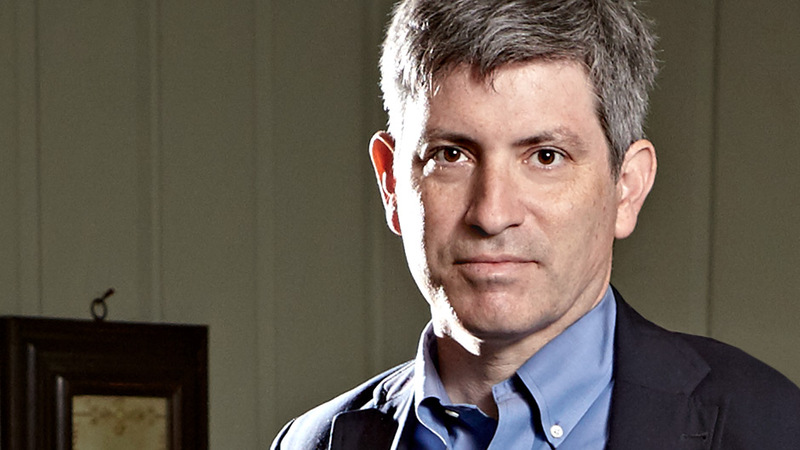 From 1994 to 1998 Carl Zimmer was a senior editor at Discover before turning to writing full-time. His work has appeared in The Best American Science series as well as The Best American Science and Nature Writing series. Along with the National Academies of Science prize, he has won fellowships from the John Simon Guggenheim Memorial Foundation and the Alfred P. Sloan Foundation. He is a professor adjunct in the Department of Biophysics and Biochemistry at Yale University, where he teaches science writing. 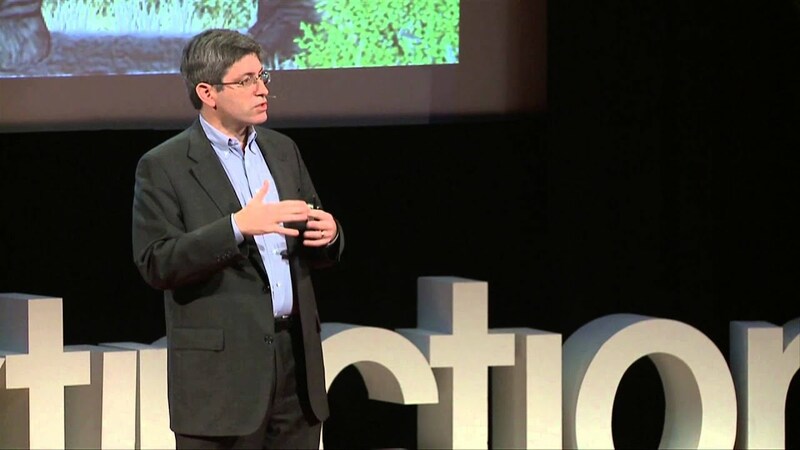 In this lecture, Carl Zimmer redefines heredity, weaving together historical and current scientific research, exemplary original reporting, and his own experience as a parent of two daughters. Introducing audiences to the not-too-distant future, Zimmer explores the ways in which DNA editing with the powerful new tool CRISPR may change our world—and ourselves. He fearlessly examines controversial topics (Do races actually exist? Is success inherited?) in light of current advances in DNA analysis, and discusses the ways in which heredity has historically been used to justify racism and social inequality. By challenging long-standing presumptions about heredity, Zimmer takes audiences on a journey of discovery about who we really are, where we came from, and what we can pass on to future generations. Are humans causing the planet to get hotter? Do vaccines cause autism? Did our species evolve 300,000 years ago? Scientists have answered these questions (yes, no, yes), yet these subjects and many others are now fiercely contested, in some cases by government officials. This talk will explore the current state of science reporting, including some hopeful innovations that will allow for stronger communication about urgent scientific concepts to the public and lawmakers alike. Our brains are the foundation for who were are—they store our memories, give rise to our emotions, and enable us to look to the future. But our brains remain terra incognita, an inner continent that remains barely explored. Only now are scientists beginning to map the brain in its full complexity, mapping some of its 80 billion neurons and their trillions of connections with each other. The results, while early, are mind-blowing to contemplate. Already, brain-mapping has improved people’s lives, enabling scientists to implant electrodes in the brain to help people with Parkinson’s regain their ability to walk, and also to give paralyzed people the power to control computers. In the future, mapping the brain may point to better ways to treat disorders such as autism, depression, and Alzheimer’s disease. And, ultimately, we will gain an inner map of human nature itself. Companies like 23andMe and Ancestry.com are introducing millions of people to the history inscribed in their DNA. Over hundreds of generations, our ancestors accumulated mutations that can reveal astonishing secrets, from unknown cousins to ancestral homeland to interbreeding with Neanderthals and other extinct kinds of humans. The science of molecular ancestry is now showing scientists how our ancestors evolved the features that made us uniquely human. But as we encounter these astonishing insights, we must also be aware of the limits of this research, and not try to use it to justify long-refuted myths about ethnicity and ancestry. The 2014 Ebola outbreak in West Africa inspired fear and confusion across the planet. But scientists are uncovering the astonishing secrets of viruses that let them hold sway over humanity—as well as other species. Viruses do more than just kill, however. They’re evolution’s engine, helping to shape life itself over billions of years. By understanding viruses, we can do more than just rein in diseases like Ebola. We can also harness viruses to build nanomaterials, bring harmony to our micorbiomes, and rewrite our own DNA. We think of ourselves as individual human beings, but our identity is actually intermingled with a menagerie of microbes that live in us and on us. Our microbiome contains about five times more cells than our own body, and a thousand times more genes. While we have known for centuries that microbes live in our bodies, only in the past few years have scientists been able to survey their diversity and to begin to figure out what these microbes are doing. It turns out they are essential for our health, and they influence everything from our weight to our minds. Carl’s talk was current, relevant, spiced with humor and everyone attending left with a better understanding about the history of brain research and the possibilities for the future. Definitely one of the best presentations the Forum Committee has experienced in many years. Everything went great with Carl’s visit. The lecture was just right for a broad audience that included both scientists and non-scientists. 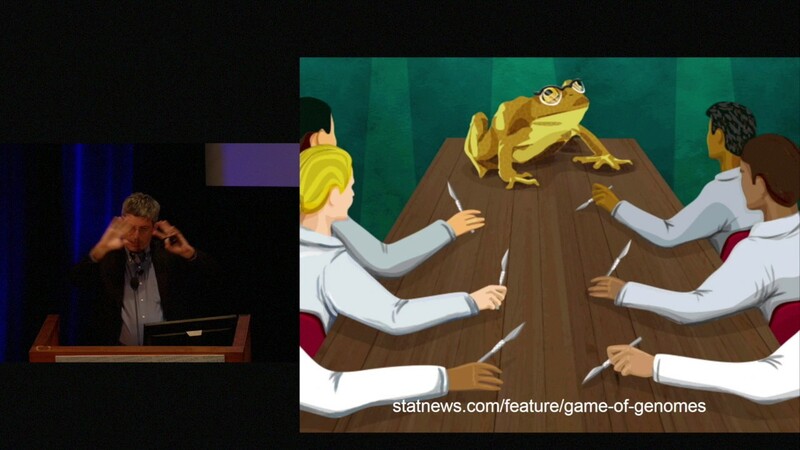 One specific comment that I heard from an attendee was that they appreciated the opportunity to view Darwinism in an unconventional way (incorporating evolution with the current topic of viruses), and that this deepened their knowledge of a subject that they were once closed to. We had a great turn out – about 250 people showed up (the room was just about at full capacity). Overall, it was a huge success! Carl delivered an excellent lecture. In my opinion, it was one of the best lectures we have hosted in the five years I have been at Auburn University. Those that I spoke to thoroughly enjoyed the lecture. His lecture was entertaining and thought provoking. It also had elements that would appeal to different facets of the diverse audience in attendance. He spoke about the science journalism process, integrity in journalism, the scientific process and integrity in science. As such, it touched on many diverse interests, while also providing depth and stimulating thought. Those that interacted with Carl personally found him to be engaging, charming, and pleasant. Carl Zimmer spoke about ‘Human Origins in a Controversial Age’ at Westport Library as part of the Library’s ongoing Community Conversations Series. He was well-prepared, and his accessibility and knowledge kept a demanding audience engaged in a most controversial topic. 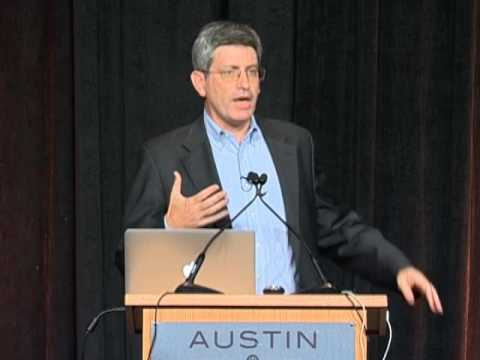 Carl Zimmer was a distinguished speaker in the Cornell University Lecturer series in the Fall of 2006. He was a tremendous hit here. His lecture was attended by more than 500 members of the Cornell University community. His skills in writing have made biology accessible and exciting to scientists and non-scientists alike. 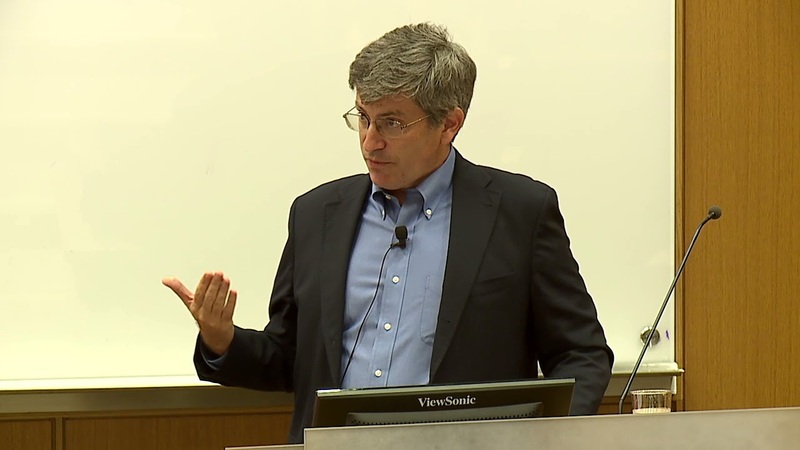 Carl Zimmer was invited to Princeton last winter where his talk ‘Evolution in the News’ was well-attended and warmly received. His lecture artfully wove classic and new examples of evolution from the perspective of a scientific writer into a very coherent and beautifully illustrated one-hour presentation that captivated the attention of both our undergraduate students in addition to some of the best evolutionary biologists of our time. Zimmer is well regarded as one of the best public agents for the science of evolution and it was amazing to see him in action – not only does he write beautifully and meaningfully about our field, but he brings it to life in front of an audience. I highly recommend this lecture to a variety of audiences where both the scholar and novice will, without a doubt, leave even more intrigued and excited about evolutionary biology. Carl Zimmer’s talk on Soul Made Flesh to a standing-room only audience at Stanford was the buzz of our community for weeks. He took us from the past to present, with a deep passion, intrigue and fascination for innovation in neuroscience that captured us all. Carl’s a superb speaker who combines a detailed knowledge of his subject matter with the wide-eyed fascination of a scientific outsider. He is a genuine intellectual who employs a plain-spoken and unassuming manner to address some of the most complex and most fascinating questions in science and scientific history. His talk was enthusiastically received by my colleagues and students, and I would recommend him to any organization or institution. Carl Zimmer delivers lucid vignettes on the power of evolutionary thought in explaining organism design and biological history and diversity. During my introduction, I noted that one of the greatest disappointments for readers of Zimmer is coming to the end of one of his essays or books. The same applies to his talks. He presents complex material with clever visuals and thoughtful honest commentary, making the research he popularizes accessible and exciting to a broad audience. One also feels for the researchers Zimmer profiles; he is a master at elucidating the motivations and hardships (and unexpected blessings) in doing science. In his superb book on heredity, She Has Her Mother’s Laugh, Carl Zimmer discusses how the proper understanding of heritable influences on intelligence and the related trait of educational attainment could be used to guide the design and evaluation of improved educational strategies. Intelligence, like height, is highly heritable, polygenically inherited and depends environmentally upon nutrition and opportunity. For this new knowledge to be used effectively, he argues, the very real genetic influences should be considered constitutional potential, rather than the more frequently grasped concept of genetic essence. Nature’s laws are violated all the time, and the cardinal violator is nature itself. This is the paradox that Carl Zimmer explores in She Has Her Mother’s Laugh: The Powers, Perversions, and Potential of Heredity. Mr. Zimmer, a New York Times science columnist and author, is careful and well-informed. So when he says that research is overturning things you were taught in biology classes, he’s worth heeding. Acquired traits can be inherited. Biological time can turn backward. And monsters are real. 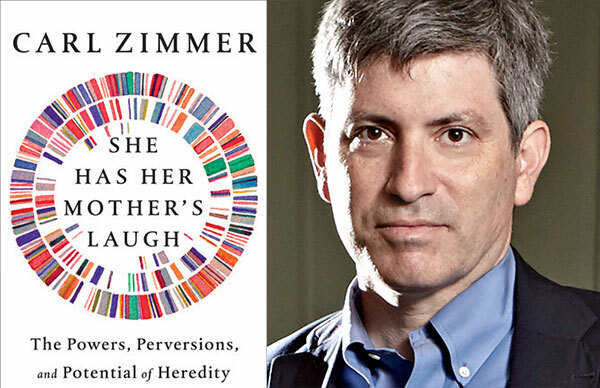 In this beautifully written, heartfelt and enjoyable masterpiece, Zimmer weaves together history, autobiography and science to elucidate the mysteries of heredity and why we should care. I couldn't put this book down, and can’t recommend it too highly." Nobody writes about science better than Carl Zimmer. As entertaining as he is informative, he has a way of turning the discoveries of science into deeply moving human stories. This book is a timely account of the uses and misuses of some of the science that directly impact our lives today. It is also a career moment by one of our most important and graceful writers. Here is a book to be savored. With this book, Carl Zimmer rises from being our best biological science writer to being one of our very best non-fiction writers in any field, period. One of the most gifted science journalists of his generation, Carl Zimmer tells a gripping human story about heredity from misguided notions that have caused terrible harm to recent ongoing research that promises to unleash more powerful technologies than the world has ever known. The breadth of his perspective is extraordinarily compelling, compassionate, and valuable. Please read this book now. She Has Her Mother’s Laugh is at once far-ranging, imaginative, and totally relevant. Carl Zimmer makes the complex science of heredity read like a novel, and explains why the subject has been–and always will be–so vexed. Carl Zimmer lifts off the lid, dumps out the contents, and sorts through the pieces of one of history's most problematic ideas: heredity. Deftly touching on psychology, genetics, race, and politics, She Has Her Mother's Laugh is a superb guide to a subject that is only becoming more important. No one unravels the mysteries of science as brilliantly and compellingly as Carl Zimmer, and he has proven it again with She Has Her Mother’s Laugh—a sweeping, magisterial book that illuminates the very nature of who we are.